Peaceful apartment, max 5 persons town of Makarska price per day from £ 82 Luxuriously furnished apartment is located in Makarska. Fully furnished and nicely decorated apartment will ensure everything you need on your vacation. Entertainment and Outdoor activities: TV, Satellite television, radio. Distance to the beach: 0.3Miles. Distance to the train: 40Miles. Apartment, close to the beach, with AC town of Makarska price per day from £ 54 Book this remodelled and just recently furnished family apartment in the known tourist resort of Makarska for complete relaxation and satisfaction throughout your summer vacations on Croatian coastline. Distance to the beach: 800 m. Entertainment and Outdoor activities: TV, Satellite television. Air-conditioned accommodation, max 4 persons, Makarska town of Makarska Apartment is located in a very tranquil place, close to the Croatian Sea and provide fully furnished apartment with a terrace and a wonderful sea view. Entertainment and Sport: TV, Satellite television. General details: air conditioner, fitness, barbecue, parking. Air-conditioned accommodation, max 8 persons town of Makarska In a picturesque setting of the popular summer resort Makarska, is located this private accommodation, surrounded by greenery and with the top interior design to provide you with the calmness and tranquility needed for a holidays in Croatia. Distance to the train: 1km. Distance to the sea: 60km. Distance to the bar: 100m. Distance to the ferryboat: 1km. Kitchen information: fridge, freezer. Holiday apartment, close to the beach, with AC town of Makarska If you want to spend your holiday with your loved ones, book this apartment in Makarska. Vacation apartment is positioned in a silent part of Makarska with suitably decorated rooms with lots of light, garden surrounded by greenery and flowers. Entertainment and Sport: TV, Satellite television. General details: air conditioner, hair dryer, garden, parking, garage. Peaceful accommodation, with garden town of Makarska price per day from £ 178 The villa has a nice and large terrace where you can enjoy sipping your morning a cup of coffee. Entertainment and Sport: TV, Satellite television, CD player, radio. General details: air conditioner, fitness, sauna, private chef, firewood, hair dryer, garden, terrace, balcony, barbecue, parking. Accommodation, 77 square meters, 118 eur per day town of Makarska price per day from € 118 Book accommodation outside the center of Makarska and enjoy the perfect family vacation in one of the most popular seaside resorts in Dalmatia. Aside from the roomy courtyard with a lovely garden and a private car parking, this villa provide you with comfy interiors, completely equipped with modern amenities. General details: barbecue, parking. Entertainment and Sport: outdoor grill, Satellite television. Accommodation, 210 square meters town of Makarska If you wish to spend your holiday breaks in Makarska, then this accommodation is perfect for you. General details: air conditioner, heating, garden, parking. Entertainment and Sport: boat, TV, Satellite television. Accommodation, 210 square meters town of Makarska Throughout your trip to Croatia, remember to explore the city of Makarska, which will amaze you with its numerous cultural and historical attractions. While there, book this perfect accommodation that overlooks the city and breathtaking Adriatic Sea and unwind in its comfortable rooms equipped with all essential amenities. Entertainment and Outdoor activities: boat, TV, Satellite television. Distance to the train: 60km. Distance to the bar: 0.9km. Distance to the beach: 0.9km. Distance to the restaurant: 0.5km. Peaceful accommodation, max 4 persons town of Makarska Pleasant and very affordable online villa, positioned in a tranquil part of Makarska is a great place for summer rest while still being near to the main city attractions. Distance to the ferryboat: 1km. Distance to the bar: 1km. Distance to the beach: 2km. Distance to the train: 60km. Entertainment and Outdoor activities: TV, Satellite television. 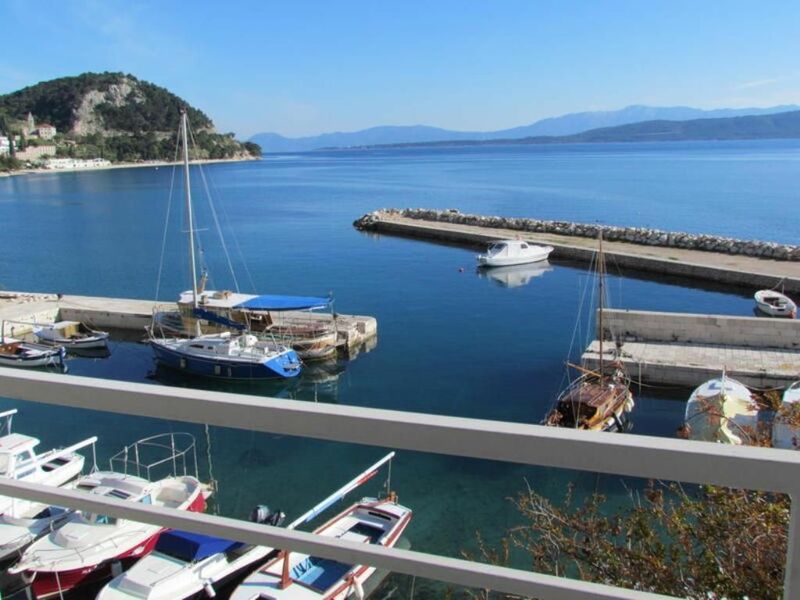 Apartment, max 3 persons town of Makarska price per day from € 33 Apartment, max 3 persons. Distance to the restaurant: 300 m. Distance to the marketplace: 30 m. Distance to the beach: 350 m. Kitchen information: fridge, microwave, stove. Rooms Lucky town of Makarska price per day from € 30 Situated 250 metres from the closest beach and 900 metres from the centre of Makarska, Rooms Lucky is presents a back yard with free-to-use grill amenities. Free internet access access is available. All the rooms are air-cooled and come with satellite television. Private restrooms are equipped with either a bathtub or a shower and come with free towels. Some rooms have a private kitchenette. Rooms Lucky offers a shared kitchen. Visitors also have access to a shared lounge. A grocery shop, a dining establishment and a bar can be found within a 200-metre radius. Villa Bepo i Ivo town of Makarska Providing a heated swimming pool, a sun outdoors terrace with sun loungers and a fitness centre, Vacation home Bepo i Ivo is set in a stone-paved house in Makarska and provides air-cooled accommodation with a view of the Adriatic Sea. A seating area with a sofa and a flat-screen satellite television is provided. The private restrooms are equipped with a spa bath or a shower. The Makarska Coastal Promenade, with eating places serving old-fashioned Dalmatian cuisine and café clubs, is 1. 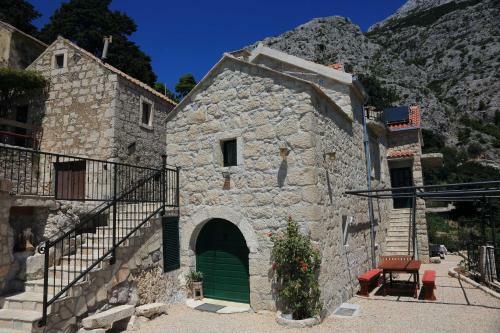 Villa Marieta town of Makarska price per day from € 131 Situated in Makarska, Vacation home Marieta presents a swimming pool and a furnished outdoors terrace offering views of the Adriatic and the town of Makarska. This air-cooled property comes with gratis wireless internet access. The property is fitted with a flat-screen satellite television and a seating area with a sofa. A full kitchen comprises an oven, a firdge, a dishwashing machine and a dining area. The closest beach is 1 kilometers away, while the centre of Makarska is 3 km away. Villa Natasha town of Makarska Situated in Makarska, Vacation home Natasha features a swimming pool, sun outdoors terrace and grill amenities. Marc Basilica and 850 metres from Makarska Main Plaza. This elegant air-cooled villa presents a seating area with a sofa bed and lcd tv with satellite channels. There is a dining area and the modern kitchen is fitted with an oven, microwave and a dishwashing machine. Villa Natasha has 1 twin sleeping room and 2 spacious double bedrooms. Makarska-Apartments.co.uk has a large selection of Makarska accommodation at great rates to enable you to enjoy all the amazing and sunny city has to offer. The town of Makarska is situated close to many national parks and attractive tourist resorts. Makarska-Apartments.co.uk - the definitive guide to Makarska apartments. Makarska, Croatia is one of the most famous tourist destinations on the Adriatic. It is located in the foothills of Biokovo Mountain (1762 m), which protects it from the harsh continental climate. It is known for its rich Mediterranean vegetation, mild winter and long, warm summers, cooled by a refreshing breeze called "Maestral". Accommodation in Makarska spans everything from rooms, cheap apartments, beachfront villas to boutique and luxury Makarska hotels. Locally run private accommodation in Makarska can provide excellent value for money. Makarska has more than 2750 hours of the sun per year, and during the months of July to September, the air temperature is above 20C, while the sea averages a temperature of above 20C. To the northwest of Makarska, there is a park and a pine forest, which encloses a 1500-m long beach in Donja Luka. Farther along Donja Luka there are numerous sand coves. A special attraction is the Malacological Museum (in the Franciscan monastery) with an interesting and a unique collection from the Adriatic sea and other seas around the world. It is considered to be one of the most beautiful and richest malacological museums in the world. The traditional 'Makarska Cultural Summer' is held throughout July and August, offering diverse drama and concert programs, performances of Dalmatian "klapa" singing groups, art exhibitions, poetry nights and folk dance performances. The most popular events are the Fishermen's Night and the Night of Kalelarga (night of the town). Makarska is also a health resort, with the recreational and health center Biokovka, which offers various therapeutic services. Private accommodation can be found when you arrive in Makarska but it's better to reserve in advance, especially if you come in the summer. A walk along the port and public beaches is a very pleasant one, and mountain lovers may take one of the mountain trails to the peaks of Biokovo mountain, which offers tranquility and magnificent views. The Franciscans came to Makarska from Bosnia establishing their abbey in the 16th century. Even though their attempts were discouraged by common intrusions, a major quake, and bureaucratic opposition, via the centuries the quite charming abbey you see nowadays came into being. Its Malacological Museum, among Makarska's leading tourist attractions, is a reputable institution with excellent connections with comparable museums around the globe. Church of St. Mark, which was built in 1776. Archeological zone on the Sv. Petar peninsula. Osejava peninsula - cultural landscape. Building of the Town Museum. Zivogosce - pebbly beach, suitable for families with kids. Sv Petar Beach - located at the entrance of Makarska, approx. 20 kilometers from the center. Mala Duba - fine gravel beach. Nugal beach - attractive, pebble beach squeezed between red-streaked cliffs, 3km southeast of Makarska. Looking for accommodation near Nugal beach ? Click here for more info. Museum of fish, crustaceans and molluscs. The selection of holiday houses, villas and apartments is huge. With so many homes to rent, my recommendation is to check out as many testimonials as possible prior to making a decision to book one. If you spot that in some residences air conditioner is frequently reported faulty, the chance it is damaged intentionally is big. One word: steer clear of. Go slowly and select carefully. You have the chance to find a good holiday house or apartment with the great setting and a pleasant host. You just have to analyze the market properly. In addition to villas, houses and apartments for rent, there are huge hotels and resorts and smaller sized family-run hotels. Big hotel company in the town is still state owned. You'll most likely be better off at the little family-run hotel. Top season in Makarska is in the course of the summer months, running from early June until late September annually. This beachfront town and the bordering region is a quite prominent summer travel spot. If you are heading to Makarska during these calendar months, expect big groups and much higher prices on holiday accommodations in addition to some tourist attractions. It is basically a great plan to book your holiday deal in advance, at minimum a couple of months ahead of time. This can help to guarantee that you get the best prices available for your vacation. Winter months are chilly, with the average low temperatures in January, Makarska's coldest time of year at 5 °C. Spring season and fall can be unforeseeable, varying from cold to warm and comfortable, even though they are typically moderate with low moisture, and summer months are generally very hot and humid with a July average high of 33 °C. Precipitation is low all over the year in Makarska, with 13 centimeters at most in any time of year. As elsewhere in Croatia, many apartment owners in Makarska expect you to stay for at least two or three nights and impose a reservation charge of at least 30%. On-season you may be expected to stay for seven nights, especially in apartments. Due to high demand for accommodation during the summer months, it is important to book early.